Barring government run Indian Institute of Managements (IIMs) and a few others, most of the 5,500 Business schools in the country are producing "un-employable" sub-par graduates, earning less than Rs 10,000 a month if at all they find placements, an ASSOCHAM study has said. Expressing concern over the decay in the standards of these B-schools, many of which are not properly regulated, the study by the ASSOCHAM Education Committee (AEC) noted that only 7 per cent of the pass-outs are actually employable, except graduates from IIMs. 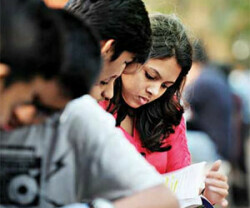 India has at least 5,500 B-schools in operation and including unapproved institutes could take that number much higher. Around 220 B-schools had shut down in the last two years in cities such as Delhi-NCR, Mumbai, Kolkata, Bangalore, Ahmedabad, Lucknow, Hyderabad and Dehradun etc, the study says. And at least 120 more are expected to wind up in 2016. Low education quality coupled with the economic slowdown, from 2014 campus recruitments have gone down by a whopping 45 per cent, it says. "There are more seats than the takers in the B-schools. This is not surprising in the wake of poor placement records of the pass-outs," ASSOCHAM Secretary General D S Rawat said. Lack of quality control and infrastructure, low-paying jobs through campus placement and poor faculty are the major reasons for Indias unfolding B-school disaster, the study says. "The need to update and re-train faculty in emerging global business perspectives is practically absent in many B-schools, often making the course content redundant," Rawat said.